Silicon Valley Karate named Best in Bay Area! At this past weekend’s tournament, Silicon Valley Shotokan Karate received the highest honors. Our dojo was named “Best Martial Arts School.” Our Chief Instructor was also named “Instructor of the Year” for the San Francisco Bay Area. Best of Redwood City… again! 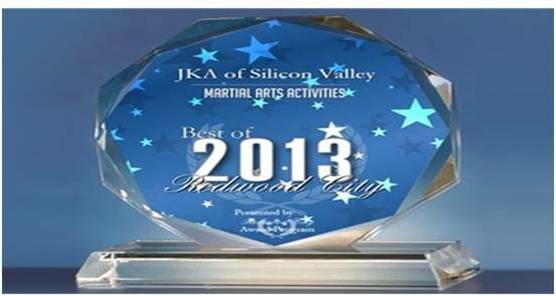 The 2013 Best of Redwood City awards are out, and… drumroll please… We were named 2013 Best Martial Arts Activities in Redwood City! This is the second year we have received this recognition. Thank you to all who voted in the poll. We’re looking forward to an even bigger and better year. 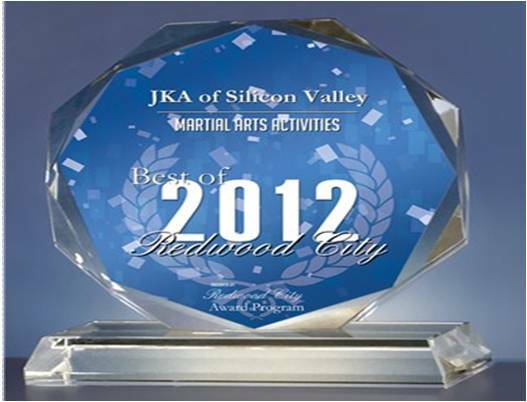 Redwood City’s 2012 “Best of” awards have been announced, and we were voted Best Martial Arts Activities in the city. A big Thank You to all who voted and to everyone in the dojo who helps make us so great!